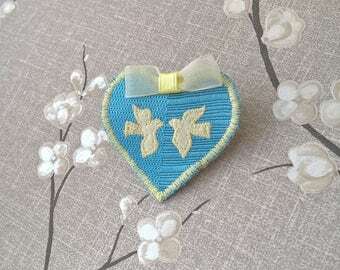 A fabric flower lapel pin brooch with a heart centre. The rosette design combines modern check and chiffon, in subtle shades of fawn, black and grey. An oxblood red heart centre, represents love with a purple bugle bead for devotion. 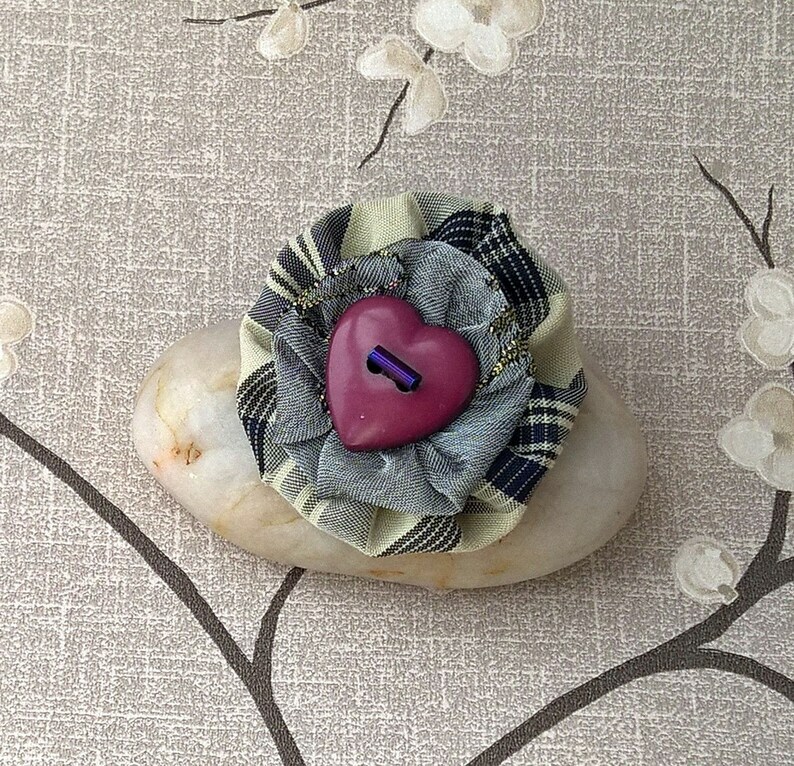 Overall the style and colours give the lapel pin a Victorian feel. 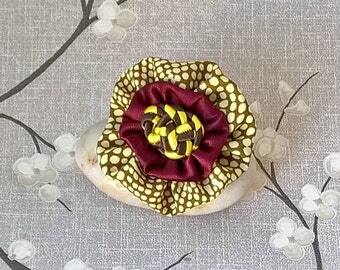 A lapel flower that will never wilt, and a loving token. Approx. 4.5cm x 4.5cm in size. Finished with a brooch back, or a button. Just indicate your preference in the drop down menu. The button will be approx. 1.4cm - 1.7cm depending upon availability. 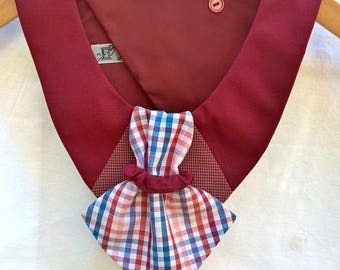 Each one is individually handmade so will differ slightly in pattern, due to fabric cut, and placement. Wow! A tote with attitude! Beautifully made and inventively finished, just what I need for my coming holiday. The shop was very helpful too in getting it to me quickly. I'm delighted!